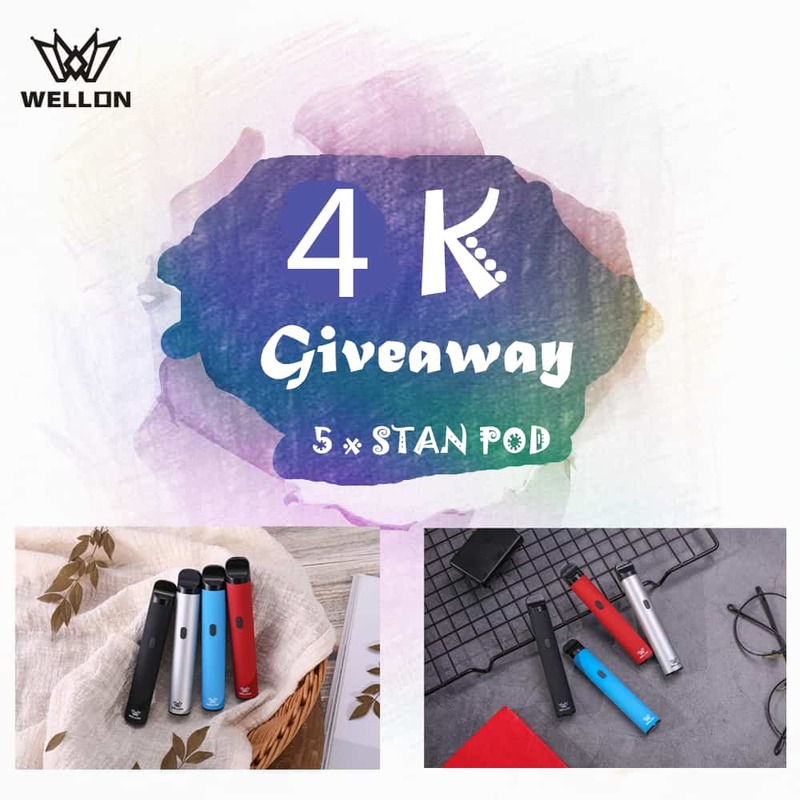 We are offering 5 sets of Wellon latest STAN Pod System giveaway on Instagram now. Easy and free to join. 5 winners will be randomly picked on the day when we get 4K followers on Instagram.